Vis­i­tors will be treat­ed to a large-scale demon­stra­tion of how umati works on the umati stand in Hall 9 at EMO Han­nover. It is planned to link up at least 100 machines from nation­al and inter­na­tion­al man­u­fac­tur­ers, and to present the lat­est devel­op­ments and the inter­na­tion­al­ly agreed draft of the Com­pan­ion Spec­i­fi­ca­tion. The VDW’s umati inter­face (uni­ver­sal machine tool inter­face) based on OPC UA aims to ensure that data from machines equipped with dif­fer­ent con­trol sys­tems is rout­ed through an open, stan­dard­ised con­nec­tion. It is com­pa­ra­ble to a USB stick. “It’s about cre­at­ing some­thing that the com­put­er indus­try has long ben­e­fit­ted from,” points out VDW Chair­man Dr. Heinz-Jür­gen Prokop. Dig­i­tal­i­sa­tion has long been part of the dai­ly busi­ness of machine builders. The com­pa­nies have had plen­ty of time to for­mu­late their expec­ta­tions and ideas for the prac­ti­cal appli­ca­tion of umati. 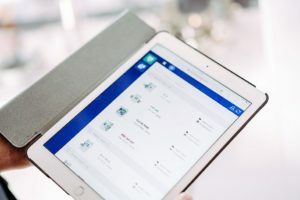 “At Profiroll, we’re cur­rent­ly con­cen­trat­ing on analysing machine data in order to achieve ever fin­er tol­er­ances while ensur­ing process reli­a­bil­i­ty. In recent years, for exam­ple, we’ve devel­oped a hard­ness com­pen­sa­tion sys­tem that irons out fluc­tu­a­tions in the infeed mate­r­i­al on the process side – an intel­li­gent machine, so to speak. We don’t yet have large-scale pro­cess­ing of machine sta­tus data. 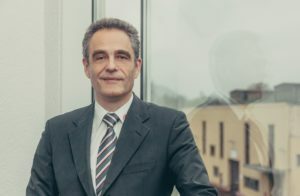 We ini­tial­ly worked else­where with­in the VDW on devel­op­ing the umati stan­dard, since the in-house resources for soft­ware devel­op­ment are lim­it­ed,” says Dr. Stephan Kohls­mann, Man­ag­ing Direc­tor of Profiroll Tech­nolo­gies GmbH from Bad Düben. “Our cus­tomers are increas­ing­ly demand­ing part-spe­cif­ic data and also infor­ma­tion on the sta­tus of the machines and the quan­ti­ties pro­duced. We machine tool man­u­fac­tur­ers know which infor­ma­tion oper­a­tors are inter­est­ed in and are there­fore ide­al­ly posi­tioned to define a stan­dard and agree it with the con­trol man­u­fac­tur­ers. 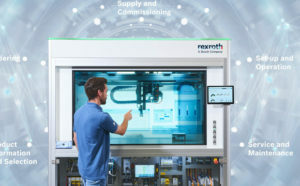 In the future, oper­a­tors of a wide vari­ety of machine tools can expect to receive the data they need in a uni­form con­text, in a uni­form cycle and in a uni­form data for­mat. This is a huge step for­ward because then they only have to take care of the spe­cif­ic, stan­dard­ised stor­age and pro­cess­ing of data,” he con­tin­ues. 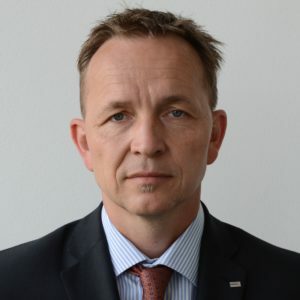 Dig­i­tal­i­sa­tion is also cru­cial at Sam­ag Saalfelder Werkzeug­maschi­nen GmbH, both in auto­mo­tive series pro­duc­tion in its role as a plant oper­a­tor, but also in the machine tools seg­ment. “IoT or Indus­try 4.0 are based on hav­ing knowl­edge of the data pro­duced and its sig­nif­i­cance dur­ing the life­time of a sys­tem, and also on the use of a com­mon lan­guage which enables all sys­tem ele­ments to under­stand each oth­er. Sam­ag Machine Tools cre­ates the con­di­tions for this through close coop­er­a­tion with the devel­op­ment depart­ments of the pre­mi­um sup­pli­ers,” says Sam­ag Man­ag­ing Direc­tor Roland Emig. “Opti­mised, secure and stan­dard­ised data access to the plan­ning and/or con­trol sys­tems allows effi­cient util­i­sa­tion of machines and plants, avoid­ance of unplanned down­times and opti­mised plan­ning of avail­abil­i­ty and capac­i­ties,” Emig con­tin­ues. In addi­tion, this com­mon approach pro­vides the basis for dynam­ic, future busi­ness mod­els such as pay-per-use, pre­dic­tive main­te­nance, smart mon­i­tor­ing, smart data ser­vices and capac­i­ty on demand. “There is also con­sid­er­able poten­tial for eas­i­er exports through the imme­di­ate imple­men­ta­tion of machin­ery and equip­ment in exist­ing organ­i­sa­tion­al struc­tures — with­out nation­al adjust­ments. In addi­tion, there is the poten­tial to reduce the num­ber of vari­ants, the pos­si­bil­i­ty to safe­guard con­cen­trat­ed expert knowl­edge with­in the com­pa­ny, and improved release secu­ri­ty and data secu­ri­ty,” empha­sis­es Emig. Uni­form­ly defined para­me­ters, which are described and pub­lished in the form of an OPC UA Com­pan­ion Spec­i­fi­ca­tion, play an impor­tant role. The stan­dards are fund­ed by the OPC Foun­da­tion, which sup­ports the pub­li­ca­tion and dis­sem­i­na­tion of OPC UA stan­dards. The OPC Foun­da­tion is an indus­try con­sor­tium that cre­ates and main­tains open con­nec­tiv­i­ty stan­dards for indus­tri­al automa­tion devices and sys­tems, and there­fore rep­re­sents a key part­ner. The VDW has been a mem­ber since June 2018. The grow­ing impor­tance of dig­i­tal­i­sa­tion is a key top­ic at EMO Han­nover 2019. The “IoT in Pro­duc­tion” exhi­bi­tion area offers a com­plete overview of key aspects of dig­i­tal­i­sa­tion, such as Indus­tri­al Secu­ri­ty, Data Ana­lyt­ics, Indus­tri­al Cloud Ser­vices, Process Mon­i­tor­ing, Pre­dic­tive Main­te­nance, Arti­fi­cial Intel­li­gence AI, Machine Learn­ing and Big Data Man­age­ment. Dr. Alexan­der Broos is Direc­tor of Research and Tech­nol­o­gy at VDW. He explains the glob­al chal­lenges that need to be over­come in imple­ment­ing a uni­form OPC stan­dard. Dr. Broos, what is the cur­rent sta­tus of umati? We’re basi­cal­ly work­ing on umati 1.0 right now. This will then evolve, as soft­ware usu­al­ly does in prac­ti­cal use cas­es. At some point there will be umati 1.1 or umati 2.0. Get­ting to that point is a com­plex process in terms of stan­dard­i­s­a­tion. Basi­cal­ly this means react­ing to changes, if nec­es­sary by releas­ing an update. And we have to decide what back­ward com­pat­i­bil­i­ty to incor­po­rate. To what extent is umati a rival to the US stan­dard MTCon­nect? Both umati and MTCon­nect are open inter­faces. Umati is based entire­ly on the freely con­fig­urable OPC UA com­mu­ni­ca­tion plat­form. OPC UA pro­vides a frame­work which reg­u­lates how the machines cor­re­spond with each oth­er. The pre­cise con­tent of the com­mu­ni­ca­tion can be reg­u­lat­ed indi­vid­u­al­ly by describ­ing para­me­ters in an OPC UA Com­pan­ion Spec­i­fi­ca­tion, which is a kind of dic­tio­nary. Umati and MTCon­nect are also coor­di­nat­ing on devel­op­ing this uni­form dic­tio­nary. There are, how­ev­er, some dif­fer­ences with regard to the imple­men­ta­tion. Here, umati is striv­ing to con­vert the spe­cial domain knowl­edge of the machine tool indus­try into seman­tics and an infor­ma­tion mod­el. What role is the VDMA play­ing here? The OPC Foun­da­tion has a coop­er­a­tion agree­ment with the VDMA (Ger­man Engi­neer­ing Fed­er­a­tion). Under this, the VDMA acts as a Ger­man and Euro­pean plat­form for all branch­es of mechan­i­cal and plant engi­neer­ing and as a strate­gic part­ner of the OPC Foun­da­tion. Com­pa­nies that want to imple­ment OPC then use the sec­tor-spe­cif­ic VDMA ’stan­dard sheets’. The VDMA Robot­ics + Automa­tion and Plas­tics + Rub­ber Machin­ery asso­ci­a­tions in par­tic­u­lar have already devel­oped their own stan­dards. Oth­ers, such as pack­ag­ing machine man­u­fac­tur­ers, are also work­ing on this. We in the VDW are there­fore oper­at­ing in an expert envi­ron­ment, are inte­grat­ed into the process­es of the VDMA and can ben­e­fit in the long term from the result­ing syn­er­gies. What does this diver­si­fi­ca­tion mean for the man­u­fac­tur­ers in the indi­vid­ual indus­tries? Of course, indus­try-spe­cif­ic stan­dards are impor­tant, even unavoid­able, for OPC UA. The dif­fer­ent indus­tries are too dif­fer­ent for it to be oth­er­wise. And there will always be man­u­fac­tur­er- or cus­tomer-spe­cif­ic data require­ments that are impos­si­ble to stan­dard­ise. Nev­er­the­less, there is always a cer­tain degree of over­lap across all sec­tors. This should then be cov­ered in a gen­er­al sec­tion which is applic­a­ble to all indus­tries. The VDMA takes care of the cor­re­spond­ing coor­di­na­tion. Of course, this process demands a degree of flex­i­bil­i­ty from the indi­vid­ual par­tic­i­pants in reach­ing the com­mon goal: a stan­dard that can be applied as uni­ver­sal­ly as pos­si­ble. How­ev­er, I’m opti­mistic that we’ll move rel­a­tive­ly quick­ly togeth­er towards achiev­ing this.